As many of you know, TOMORROW is December 1st! And the kickoff to our Christmas Cheer Linky Party is next week! I'm really going for a rustic and natural theme this year. I've eliminated most of the red from our living room, so I want to focus on browns, creams and metallics this Christmas. 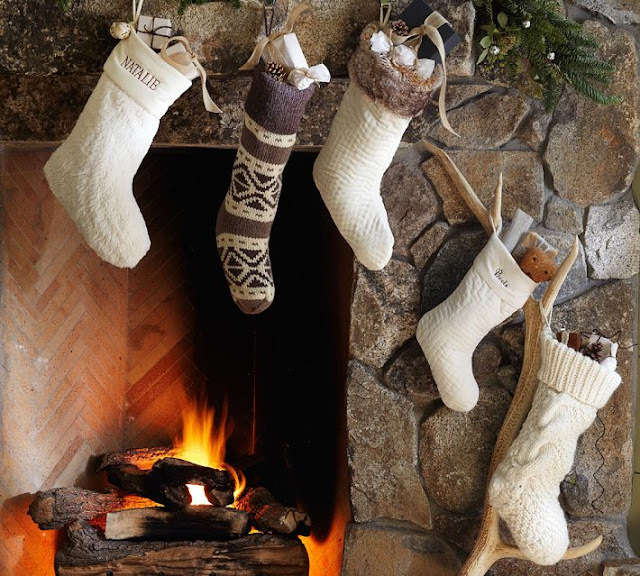 I am loving the neutral color of these Pottery Barn stockings...I only wish they were a little more affordable! I also have my eye on this furry option from Nordstrom...but again, a little pricey! Surprisingly, these Restoration Hardare stockings are much more affordable...but which color to choose? I've also thought of forgoing the stockings this year for some bunting. 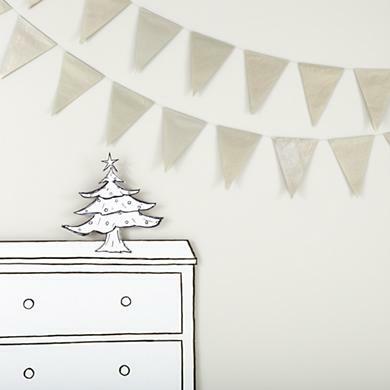 I love the idea of streaming a fun garland across the fireplace instead...this Land of Nod one hits the mark! 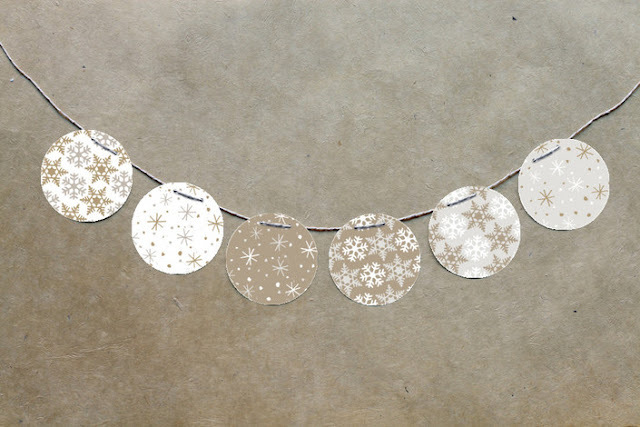 Of course, Minted has an adorable new party line on their website...I'm digging this cute garland. So which one is your favorite? Do you think I can ship in time for our mantel linky party next Thursday?! I'll be decorating all weekend long...hope you will be too! 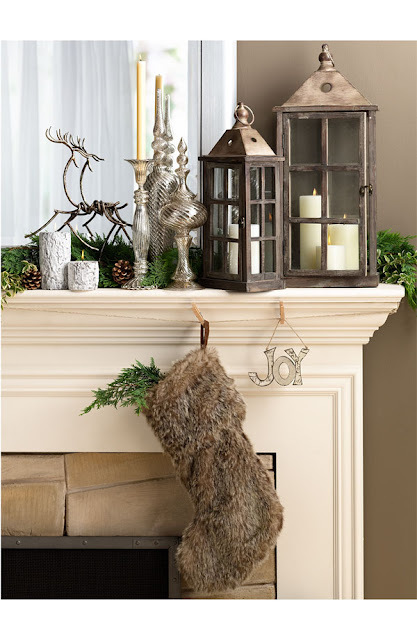 I love those Restoration Hardware stockings, such a great price too! The Minted collection is gorgeous of course! Great inspiration girl! We always put up stockings but my boys (and husband) are so set in their ways that they have to use their same traditional stockings each year. I couldn't dare buy some new cute ones from Pottery Barn or something to change things up. They would be devastated! Have a great weekend! These colors are great! Really really pretty---can't wait to see what you decide! i'm with you...in our formal living room, i decorated with mostly white, silver, and gold and i love the polished look of it all. sadly i want new stockings but going to wait until next year-love these as options though! Neutral colors are so beautiful around the holidays! I love using neutral colors, then throwing in some different accents colors, like a spicy red (what we did this year). I love the neutral colors for Christmas...so clean and fresh! Love that Minted garland...so cute. I am debating new stockings, too! I have a red minted garland like that! Love their new line. Happy Friday! i am on the hunt for new stockings too. i adore the pottery barn ones but can't pick which one i want. my stocking now is the same one i've had my whole life that is massive (i'm talking 3 feet) and has rudolph on it. it was awesome when i was little and actually could fit in it, but now it makes me cringe. Love the faux fur stockings!! oooh! I love ALL of it! ESPECIALLY the colors!!!! ooo i'm with you on this- it's so tough to choose! we finally have a place for stockings, since we don't have a fireplace, but now it's time to find some i like.. why are they so expensive?!?! Mmmmmm your inspirations are to die for! I am sure whatever you come up with will be killaaaa! Love the natural colours for Christmas! I don't think I have ever decorated with red in all these years, I've always done silver, turquoise and icy white, my favs! Those stocking are all beauties! Can't wait to see what your final look will be! Oh, I am so wishing that new stockings were in the budget this year! I went all gold and sparkly on the mantle and our multi-colored stockings are clashing. Horribly. C'est le vie, no? (c; I'm just so happy to be decorating for *CHRISTMAS* I don't even care, it's just so much fun! It's hard to say. I like both! I can't believe it Dec. 1 tomorrow! I love that rustic look and color palette you're going for... those Pottery Barn stockings in the first photo are gorgeous. That Minted garland is cute too. Love it! We are in the same head space - I previously had gold, brown and red, and this year have decided to go with metallics and creams (all neutrals, no red). I just bought the knitted PB stockings because I couldn't stop obsessing over them... still feeling a little nauseous over the bill though!!!! 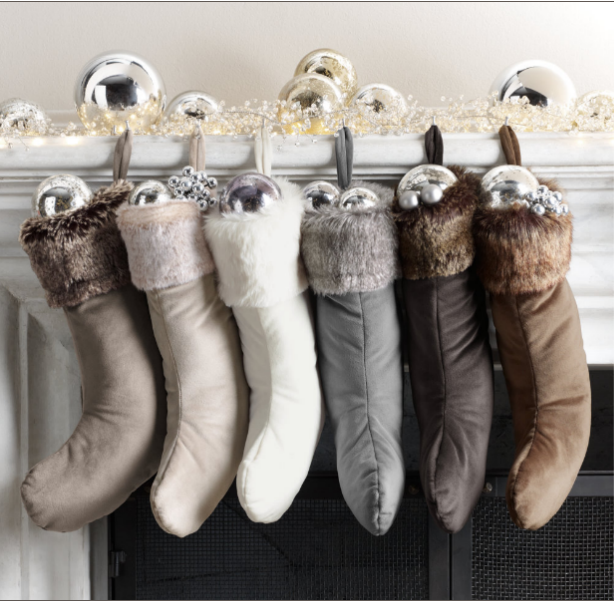 I would go with the Restoration Hardware stockings! I love the fur on them :) They look so cozy. 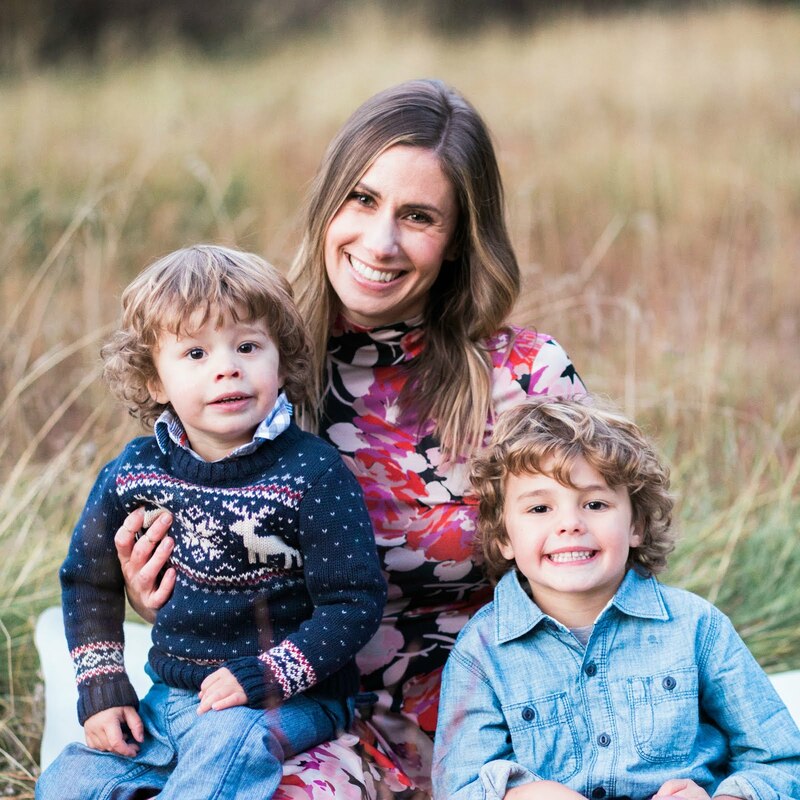 I'm a new follower and fellow new boy mom and also living in Northern California! Small world! LOve the socks with the Christmas bulbs in them! I'm not sure if you've ordered the stockings already, but Restoration Hardware baby & child also has some pretty cute stockings in neutral colors too! I'm a classic girl, so my vote is definitely for stockings! I love the neutral colors you have picked out and I'm sure whatever you do will be gorgeous!